Having a bit of the blues toward the end of February? Especially when it’s cold and gray outside? That’s not all that abnormal. But how can you tell if it’s developing into something more serious? 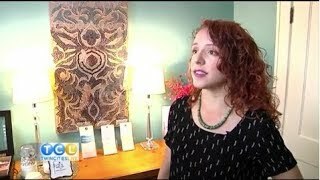 Watch this segment of Twin Cities Live to learn the symptoms of Seasonal Affective Disorder, and how acupuncture can help! Here comes cold and flu season! Did you know that acupuncture can help clear congestion, relieve sinus pain, and boost your immune system to help fight off those nasty winter colds? Check out this segment of Twin Cities Live to learn how! Do you find that taking medications for reflux and GERD help with heartburn but don’t relieve your other symptoms? Acupuncture could be the answer. Watch Senia Mae on Twin Cities Live where she explains just what acupuncture can do for your reflux and GERD that medications can’t! If you have Irritable Bowel Syndrome (IBS) you probably know where all the bathrooms are in the Twin Cities. Or you’re so bloated and uncomfortable that you dread wearing a swimsuit or skinny jeans. Your doctor may not have the solution, but watch Senia Mae on Twin Cities Live where she shares how acupuncture can help with Irritable Bowel Syndrome! To make an appointment and get your life back, book online here. It’s a buzz word you keep hearing, probiotics! But what are they and why do we need to add them into our diet? Watch Twin Cities Live’s holistic health expert, Senia Mae, where she explains how probiotics help with a healthy gut. Click here to book an appointment online and have one of our practitioners evaluate what probiotic would be right for you. The pollen count is crazy high at this time of the year, and if you have allergies you can totally tell! 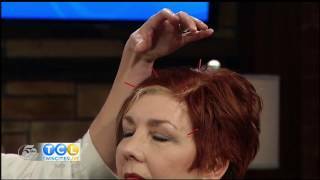 Watch Twin Cities Live where Holistic Health Expert, Senia Mae, shows us how acupuncture can relieve allergy symptoms for this year…and next year as well! To make an appointment and get ahead of your allergies this season book online here.